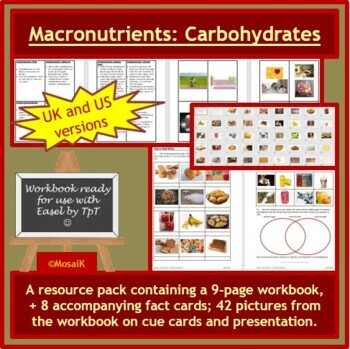 Food Preparation and Nutrition: This pack includes a 9-page workbook + fact cards to support students’ work, picture cue cards and flash cards (half page) for a variety of activities and a presentation of the same pictures to introduce students to the topic of carbohydrates in food and drink. A document with suggestions for use and differentiation is also included. 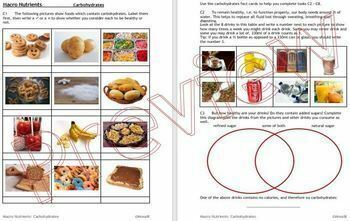 The workbook and fact cards are ideal for classwork, homework, revision, consolidation and substitution work. If you like this resource, please leave me a review, follow me and check out my other resources. Look out for my bundles which will save you time and money for even more learning opportunities.